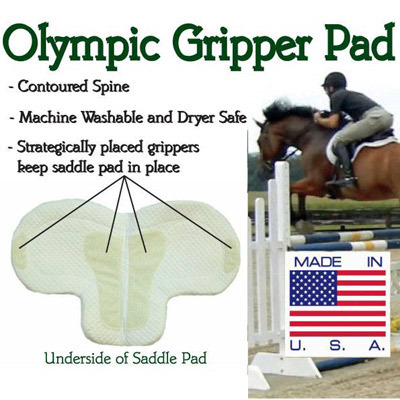 Tidy up your show turnout by eliminating billet and girth straps- this pad is designed to keep your pad put even through the toughest course. The top side of this pad features classic, high loft fleece edged trim with low profile quilted cotton under the seat and legs in order to maximize effectiveness of your aids. 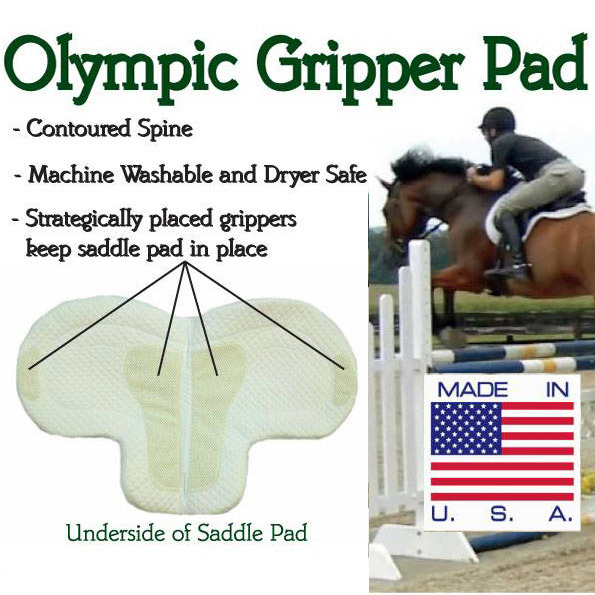 The underside of this pad features a combination of cotton fleece and strategically placed non-slip fabric that prevents the saddle pad from shifting mid-ride. Also includes a contoured spine. CUSTOM FIT If you ride in a custom or unusual size saddle, you may find one-size-fits-all saddle pads sometimes leave unsightly gaps, bunches, or excess fabric showing around your saddle. Create the perfect, tidy show-ring look for your saddle by purchasing this custom sized fleece show pad in the seat size and flap shape that's perfect for your saddle.